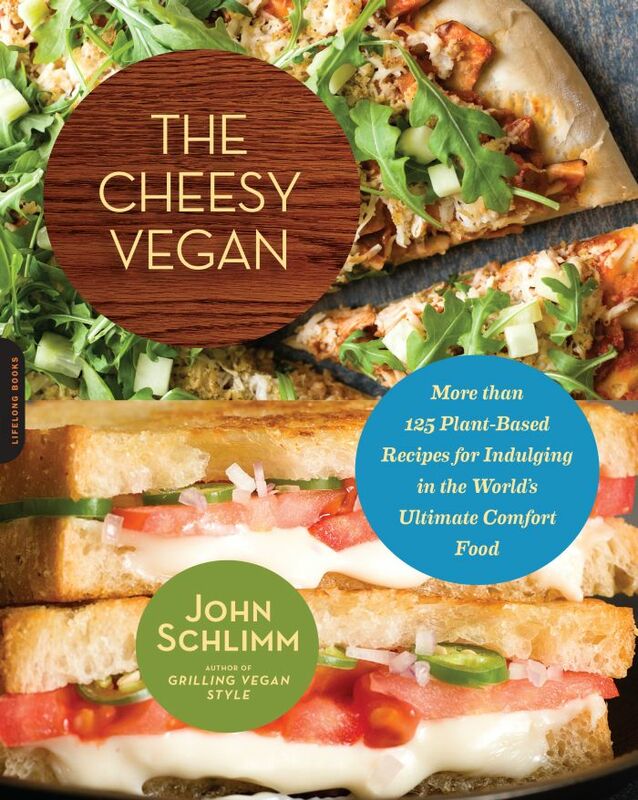 The Cheesy Vegan by John Schlimm shows you how to make vegan versions of America’s favorite comfort food from scratch and then goes on to provide 125 different recipes using those vegan cheeses. The first chapter goes through making vegan versions of many different cheeses found in the average American supermarket: cheddar, mozzarella, brie, Swiss, feta, cottage cheese, cream cheese, Parmesan, ricotta, bleu, jack, muenster, and American. 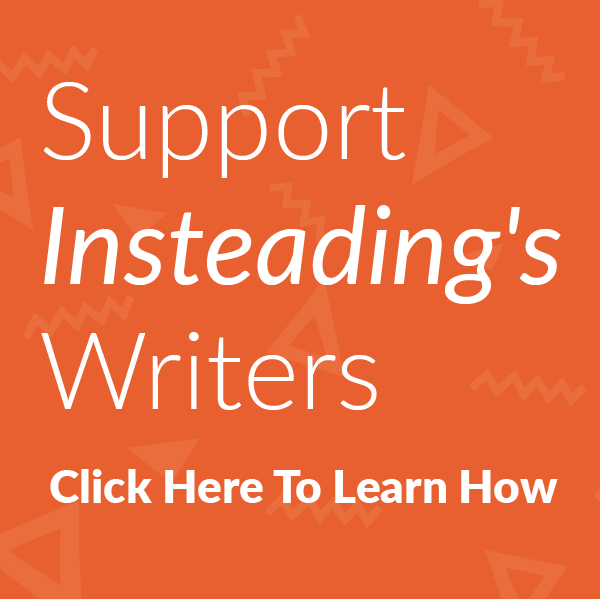 The author includes variations on some of them, such as garlic cream cheese, jalapeno cream cheese, farmers’ market veggie cream cheese, hot sauce cream cheese, and smoked cream cheese. Once you’re able to make all these cheeses, what next? A really big cheese plate? Well, yes. The book has seasonal cheese platter suggestions for parties and wine, beer, and cocktail pairings. But don’t fret, there’s 125 recipes in this book that run the gamut from quiches to soups, salads, and sandwiches to desserts – an entire chapter on cheesecakes. For those days when you want a shortcut, author John Schlimm includes a guide to store-bought vegan cheeses. The Cheesy Vegan: More Than 125 Plant-Based Recipes for Indulging in the World’s Ultimate Comfort Food is available on Amazon for about $13. Bake a cheesecake from the cookbook and take it to a party. You’re sure to be a hit. Or try this Baked Cauliflower-Parmesan Penne from The Cheesy Vegan. Roasting cauliflower brings out a lovely sweetness in this vastly underappreciated vegetable that counterpoints the lusty background flavor of the olives in the sauce. Preheat the oven to 450°F. In a large pot, bring 6 to 8 quarts of water to a boil. On a foil-lined jelly-roll pan, toss the bread crumbs with the panko, and watchfully toast the mixture in the middle of the oven until golden brown, 3 to 4 minutes. Transfer to a bowl and set aside. Toss the cauliflower with the olive oil right on the jelly-roll pan and season with the salt and pepper. Roast in the middle of the oven, stirring occasionally, until the cauliflower is tender and begins to brown, about 15 minutes. Set aside. Lower the oven heat to 325°F. In a large skillet over medium heat, sauté the garlic and green onion whites until soft, about 4 minutes. Add Tabasco sauce to taste and cook for another minute or two. Remove the skillet from the heat while you cook the pasta according to the package directions. Just before the pasta is al dente, 10 to 11 minutes, add the cauliflower, pine nuts, and half the toasted bread crumbs to the skillet. Toss the mixture well. When the pasta is ready, reserve a cup of its cooking water, drain the pasta, and add it to the skillet with ½ cup (more or less) of the cooking water. Stir in the olives and green onion greens. Transfer the pasta mixture to a 2½-quart gratin or baking dish and bake in the middle of the oven until the pasta on top begins to crisp, 8 to 10 minutes. Drizzle with the remaining olive oil to refresh the pasta, and sprinkle it with the rest of the crumbs and the Parmesan cheese. Serve warm.